I woke up this morning, sat down to write this blog post, and….NOTHING! Even though I have a list of potential blog topics, nothing seemed to work. I couldn’t get my creative juices flowing. I’m staying at my brother’s home near Chicago, so I turned to him and said: “Do you have any ideas”? Usually it’s not, but for some reason, I’m struggling today. So I shut off my computer, grabbed my car keys, and said: “Let’s go to Cantigny Park for the day”. But today I just needed to walk the trails through the Rose Garden, the Idea Garden, and the multiple trails lined with every possible flower you can think of. Spending time in the sunshine, chatting with my brother, and enjoying the day was exactly what I needed. I am now refreshed and ready to go. There are so many times when we are plagued with deadlines, and some days our brain just needs a rest. So whether you take a quick nap, take a walk in the sunshine, or just take a time out, give yourself permission to enjoy some down time. You may be surprised at how much more you can accomplish. 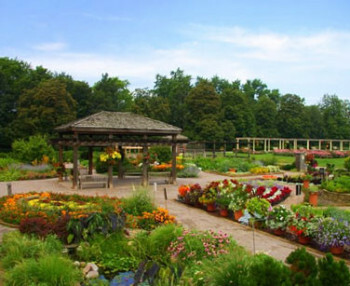 And just in case you’re wondering where Cantigny Park is, you’ll find it in a Chicago suburb called Wheaton. Here’s the scoop: http://www.cantigny.org/. Do you sometimes feel stuck? At work? At home? In life? You get that feeling in the pit of your stomach that tells you something isn’t right – something is missing. I was recently visiting with a very dear friend who is feeling that way and it breaks my heart. She is so talented and loving, yet she can’t see it. So of course, I tried to help her, and every time I tried to give her some encouragement, I could see her eyes glaze over. She was too busy beating herself up, thinking she just wasn’t good enough. I felt helpless, and she felt hopeless. As we were our saying good-byes, I handed her 10 colored strips of paper. I suggested that she write down 10 different things that bring her joy. It could be something as simple as sipping a cup of coffee or taking a stroll through the neighborhood park. 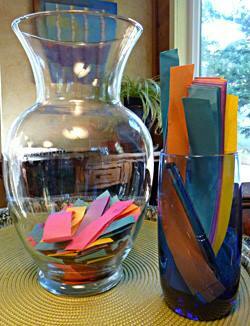 Write one pleasure on one piece of paper, fold it and put it in a clear vase or bowl. Then set it in the center of your countertop or coffee table or wherever it will be the most visible. It looks pretty and is a constant reminder of all the things that bring a smile to your face. When you are feeling stuck, pick one and promise yourself that you will take the time to do it before your day is over. Baby Steps! That’s what I suggested. One piece of paper at a time – one pleasure that will make you smile each day. This helped me immensely when I was stuck. It helped me to move forward, and in the process, I met some amazing people along the way. So, I’m hoping that if you should ever find yourself stuck, try this little trick and see if it works for you. One thing will lead to another if only you’ll let it. I’d love to hear your story. Seriously! I’d really like to know. Can you totally unplug from your cell phone to social media and everything in between? That’s what I just did for five full days as I decided to take a very short and very needed “time out”. And that’s exactly why this blog post is two days late. It is my first of 56 blogs that did not post on a Tuesday and it was a conscious decision. I have to tell you that it was one of the most stressful things I have ever done! 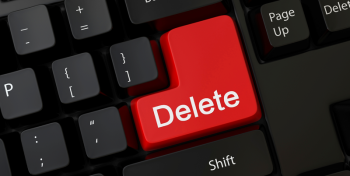 The thought of disappointing my readers, missing that important email, or ignoring that text drove me crazy for the first day or so. Then I was finally able to take a deep breath and realize that the world wasn’t going to fall apart. I would survive! I have to admit – once I settled in and got used to the idea of being unplugged, I really enjoyed myself. Being in the present with no dings, no buzzes and no rings was quite refreshing. I got to truly experience what was right in front of me without worrying about what needed to be done next. I traveled to New Orleans for a few days of fun. 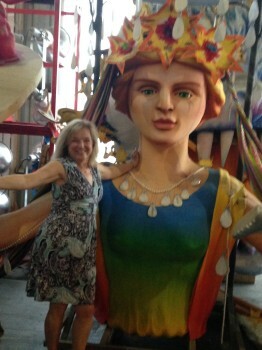 I had an opportunity to tour the facility where most of the floats are made for Mardi Gras. As I saw everyone around me with their heads buried in their phones, I smiled at the fact that I wasn’t even carrying mine! That’s right, I left my phone in the room, and now I could enjoy all the sights and sounds and smells around me. How liberating! And now, as I head home, panic sets in once again. How many emails will be waiting for me? How many texts need to be answered? How early do I need to get up to post this blog? So once again I take that deep breath and decide to enjoy my last few moments of independence from my gadgets. The world will survive!